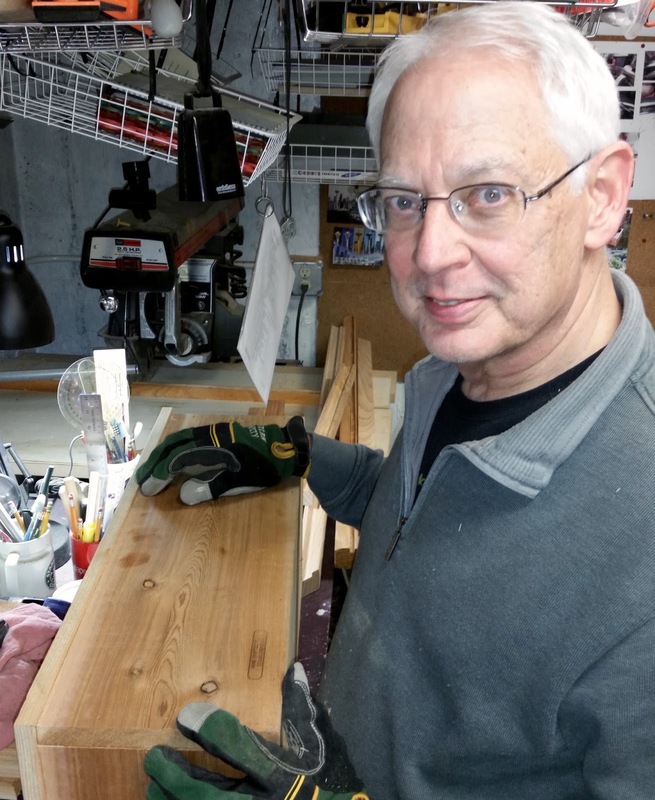 CedarSchemes specializes in creating handcrafted cedar planters and mason bee houses. A local small business based in Lake Forest Park, they build custom size planters to fit your space and design. Owners Don and Darci Beacom moved here from Wheaton, Illinois four years ago to be near their daughter. Don (the talent) loves woodworking and has been creating for years. 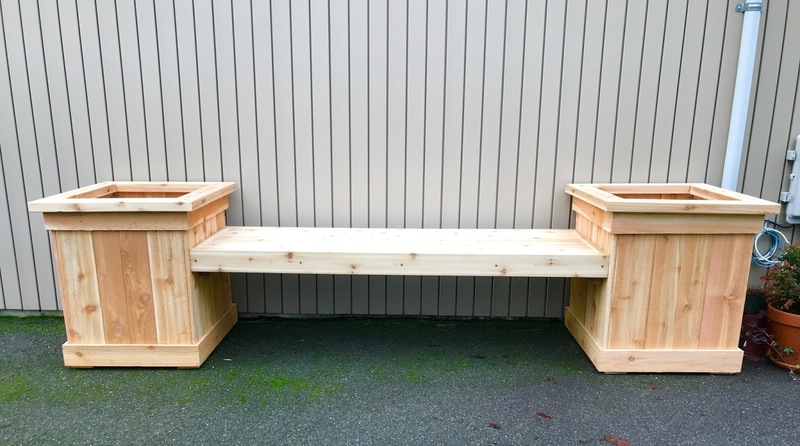 He started building planters when he realized he could do a better quality job than anything he saw in the stores. They started selling their planters at the Farmers Markets two years ago. 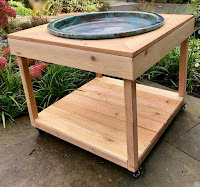 What makes us unique is our ability to modify any planter design so it fits what the owner has in mind, to do it affordably with quality. 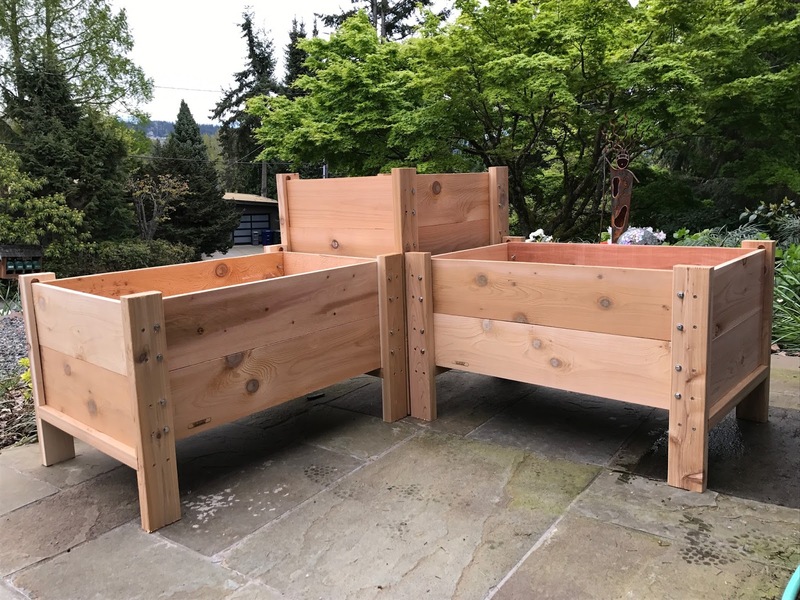 We use long lasting untreated western cedar, so gardeners who want to grow vegetables, fruit or herbs can do so without worrying about toxins getting into their edibles. Prices vary based on size and style. We’ve modified our designs and created new ones thanks to customer suggestions. 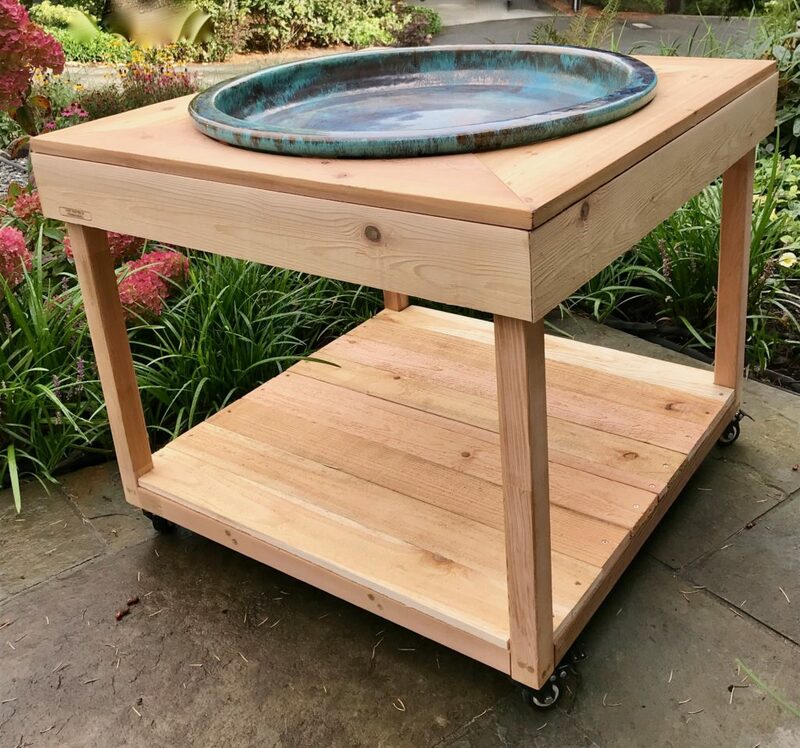 In fact, one of our most popular planters, the patio planter on a stand with a removable drip tray, was created after a customer asked for one that would work for her condominium deck! 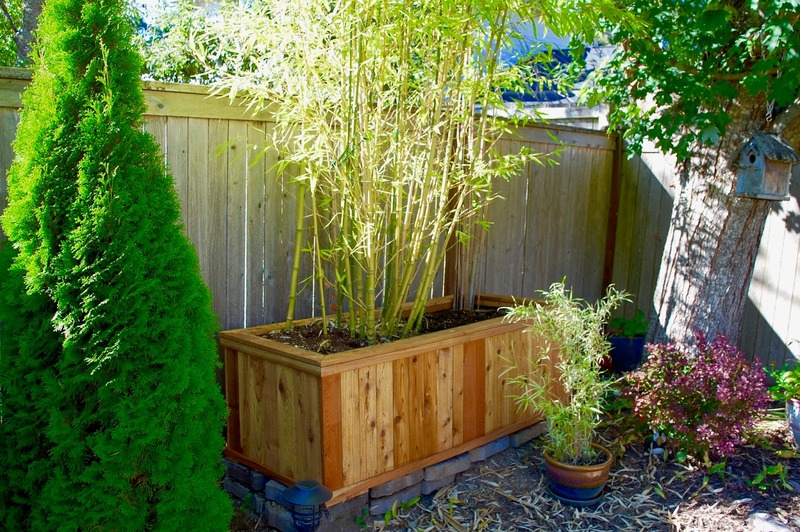 They love working with home gardeners and local landscapers who want to incorporate beautiful and functional cedar planters in garden, deck and landscaping plans. Their website features many pictures of their standard planter designs, with a separate tab for some of the custom planters they’ve built over the past couple of seasons. It also talks about the way they build the planters. They hope to be at a few Farmers Markets this spring, but they’re now finding most of their orders are coming through referrals and repeat customers. For more information, pricing and to see some of their planters, visit their webpage Cedar Schemes. They also have a Facebook page; and if you have questions, you can email them. I had two custom planters made for my front entrance to the house. Don and Darci worked with me to make sure the size was the perfect fit for the space. I love them. They are on rollers so are easy to move around and into the garage for winter.